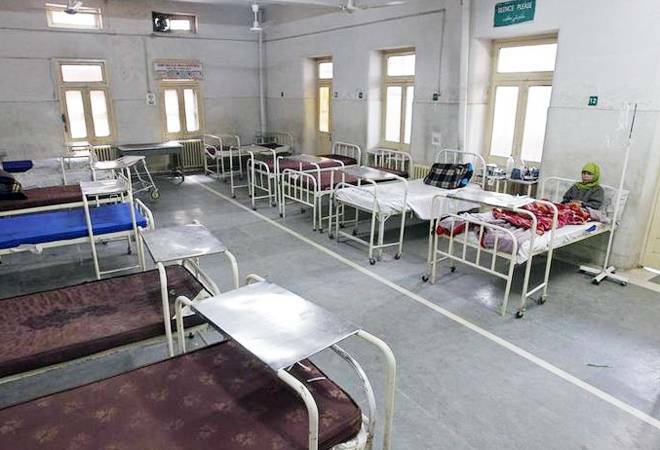 The Delhi government has decided to remodel around 16 existing hospitals so as to enhance the number of existing beds as per Floor Area Ratio norms. The total number of hospital beds in the national capital increased from 48,096 in 2014-15 to 57,194 in the last fiscal, according to Delhi's Economic Survey report. This translated in a jump in beds per 1000 population from 2.68 to 2.99 in the corresponding periods, it said. Besides, the strength of beds at a proposed hospital in Ambedkar Nagar has been revised from 200 to 600. The estimated cost of the hospital is Rs 180.95 crore and 80 per cent of the work has been completed, the Delhi's Economic Survey 2018-19 report said. The Delhi government has decided to remodel around 16 existing hospitals so as to enhance the number of existing beds as per Floor Area Ratio (FAR) norms. Around 7,000 new beds will be added as per planned remodelling of these existing 16 hospitals, it said. According to the NSSO survey (71st Round) report of State Samples, around 2,697 persons were hospitalised per one lakh population during the reference period of one year and the share of the government health institution in the treatment of hospitalised cases in urban area accounted for 51.41 per cent, the report said. The total expenditure in the medical and public health sector of Delhi government has significantly increased from Rs 861.66 crore which accounts to 9.85 per cent of the total expenditure in 2007-08 to Rs 1912.42 crore which accounts to 13.28 per cent of the total outlay in 2017-18. To provide primary health care services at the doorstep of the citizens of Delhi, 189 Aam Aadmi Mohalla clinics have already been set up, it added. Health sector infrastructure in Delhi comprises of 1,298 dispensaries, 1160 nursing homes, 230 maternity homes,178 polyclinics/special clinics, 88 hospitals and 17 medical colleges. Important vital indicators like Infant Mortality Rate, Neo-Natal Mortality Rate, Under Five Mortality Rate in respect of Delhi stand at lower levels i.e 18, 12 and 22 respectively in comparison to all-India levels at 34, 24 and 39 respectively. The total fertility rate of Delhi is 1.6 which is lowering among all states in India. Per capita expenditure on health in Delhi has increased from Rs 2116 in the year 2014-15 to Rs 2493 in 2017-18, it said.